It's time to agree with God about who he says you are. You are smart. You are kind. You are beautiful. And even if you've never thought so, you are confident. You have everything you need to begin. This is your story, your life, your moment. It's time to stop being unhappy with yourself. You can choose to stop second-guessing all of your decisions and commitments and wondering whether your life would be better if only you had chosen differently. I invite you to be present where you are - where God is! - and to embrace your life and live out your God-given gift of confidence. Come join me in the pages, my friend. Let's talk about who you are. Let's hold hands and run hard into the glorious mess of it all. I don't know what challenges wait for you, but this I know for sure: You can do this! Readers of this book will think, laugh, and gain confidence to do what is set before them. They will feel hopeful, courageous, strengthened, encouraged, present, and confident. And finally, readers will be equipped to implement simple strategies to inspire contagious confidence in themselves and others. With gentle humor and friendly warmth, Tricia Lott Williford assures women that they can be who God has created them to be. Tricia comes alongside the reader as a fellow struggler, not an expert, winsomely and honestly reflecting on mistakes made and lessons learned. I love that she incorporates practical examples and advice - both from her life and from other women's - about walking in courage and in God-confidence. Readers who feel alone and insecure (and who hasn't felt that way?) 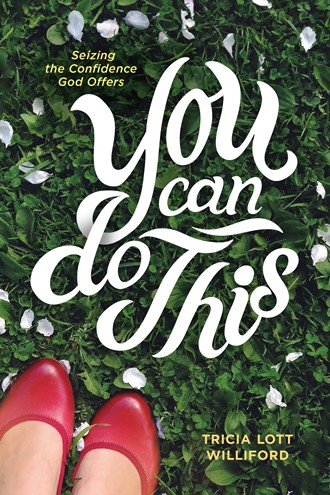 will find much to love in You Can Do This, including rest stops (questions and tasks related to biblical confidence) at the end of each chapter. - Dena Dyer, Coauthor of Love at First Sight. With inspiring and funny stories, Tricia helps you exchange fear for faith. She leads you to a place where you can deal with the bullies who have tried to steal your confidence - the ones around you and the ones inside you. Read this book and live as the confident girl and mighty warrior who God intended you to be. - Jennifer Dukes Lee, Author of The Happiness Dare and Love Idol. The wisdom Tricia imparts on female confidence is fresh and bold and grounded in truth. You'll never look at yourself quite the same. 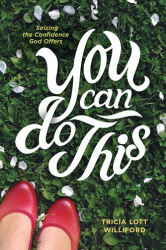 Buy this book for your daughters, your best friends, and most of all, for yourself. - Rachel Randolph, Coauthor of Nourished: A Search for Health, Happiness, and a Full Night's Sleep.